Our shooting and training facility includes meeting space as well as five firing ranges and an archery venue. 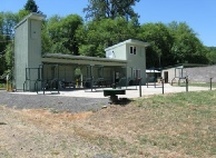 The public shooting range consists of 40 covered firing positions with targets set up at 12.5, 25, 50, and 100 yards for rifle and pistol shooting. This range is open for public use with Range Safety Officers on duty to provide an enjoyable experience on a regular schedule that is adjusted for winter and summer hours as well as Sighting In Days in the fall. 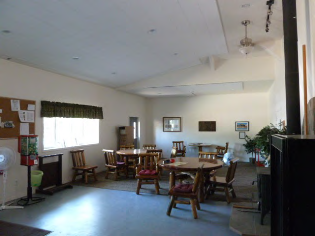 The clubhouse and multipurpose buildings provide ample space for Club meetings, special events, hunter education classes, handgun safety classes, and other training as well as for membership meetings. The spacious recreation area located at the west end of the property is a scenic area and is a great choice for picnics, Scouting events, and gatherings. 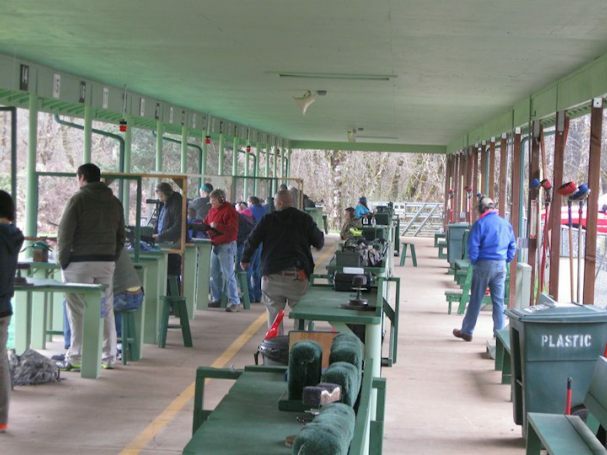 The Club offers many activities with emphasis placed on the use of the ranges by members just for the pleasure of competitive shooting and socializing. Many supervised events are offered to the membership and public, including a Junior Program for younger shooters. From time to time classes are offered regarding reloading, bullet casting, handgun safety, concealed handgun permits, and Hunter Education. Please refer to the activity calendar on the website for regularly scheduled classes, registered and informal matches as well as other educational activities. Sanctioned and informal matches are regularly held at our ranges. Some of the more popular competitions are the Civilian Marksmanship Program matches, bench rest competitions, small bore rifle shoots, black powder matches, turkey shoots, and pistol matches. The Club also hosts an annual “Sighting-In-Days” program. Each year, thousands of hunters take advantage of this program to safely sight in their rifles prior to the opening of hunting season. The cost to the public for the use of our public range for the day is $10 for adults 18 and over and $5 for shooters age 17 and under and guests of members. There is no separate ‘per gun’ fee. Active duty military, National Guard, and reserve personnel with valid identification shoot for free on the public range. The entire club operation depends on member volunteers. Members will receive credit for their work bond for the next year by volunteering on work parties, projects, program officiating, or working as a Range Master on the public range. A member can volunteer enough to earn complete credits to pay the work bond and dues for the following year. Our public shooting range is open from 10:00 a.m. to 4:00 p.m. Friday through Sunday during winter hours, and from Wednesday through Sunday during the summer. Additional hours and days are added during Sighting-in Days in the fall. Our 200 yard range is used for our rifle competitions such as the benchrest matches, offhand shoots, and Civilian Marksmanship Program matches. In 1991 a grant from the Oregon Department of Fish and Wildlife helped us build a large classroom building that is used for events and activities. 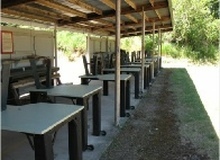 Our pistol/rifle range has been extended to 100 yards and has 30 covered benches. 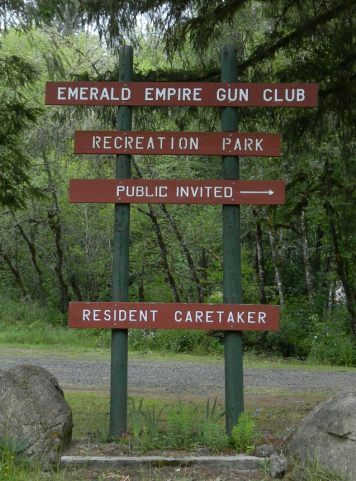 We host many pistol competitions throughout the year as well as other events on this range. Our club and other local instructors teach new shooters and others who would like to learn more about the shooting sports. Some of the events are formal training sessions and others are more one-on-one. We are located near the University of Oregon and have assisted their ROTC program with shoots and events. Many of our members have military and/or law enforcement backgrounds and have extensive shooting experience. ​The new shotgun range is used by our SCTP and YHEC groups, and also for public shotgun shoots and competitions. It has five housed trap machines and can accommodate large groups. Local companies schedule events such as the recent Cabela’s ‘Ladies day’ at our range.